My name is Fabiola and I am a self-taught doll maker, professional dreamer and writer of stories. 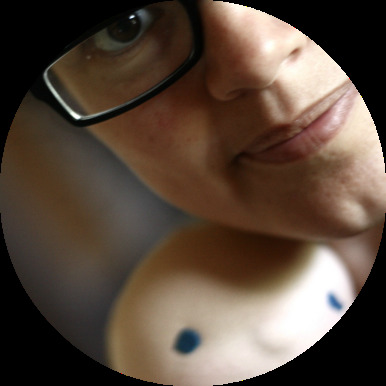 I am a mother of two, caretaker of a pup and loving partner of a crazy-talented husband. Doll making became a true passion for me, working with natural materials, vintage treasures, nature finds and my over-active imagination. The long and winding road that has led me to live the life I have has always provided with inspiration and a deep sense of "searching", trying to find my own true thing, a medium in which I could develop my voice, create something tangible and with a purpose, while at the same time allowing me space and time for self-reflection. Doll making has given me all of that. Truth be told, I was never much of a crafty person but I was always reading and fantasizing instead. Both characteristics have come in quite handy in my now very creative life. I was born in northern Mexico, an area of the country seeping with deserts and sierras, majestic canyons and rowdy rivers. Much of that peaceful but at times turbulent landscape was being imprinted within me, as I spent hours pouring over books, trying to tell as many stories as I could to anyone that would listen. My childhood was one rooted in tradition and culture, coexisting with the poverty of indigenous cultures, wealthy cattle ranchers, hard-working orchard farmers and a strong and vibrant "foreign" community (mormons as well as mennonites). I taught myself english by reading books given to me, and many years later this language allowed me the opportunity to be at the right place in time to meet my husband, a then tired Canadian traveller passing through Spain, where I was attending college for the second time. Doll making came to me by the hand of a little almost 3 year old, while living in the East Kootenays of British Columbia. My first-born daughter's birthday was coming up and I felt the need of making her a doll. It wasn't really required of me, and anybody that knows me knew then that using a sewing machine or even my hands to create something was completely out of the question. Let's just say my talents lied somewhere else. Yet, I had this sentiment, I had to create a doll for my daughter. And so I did!. The poor thing did not survive long after that, but from that day on I haven't stopped creating dolls. The motivation of a mother to make something for her little girl drove me, pushed me, made me realize my hands had a need, one that I have been feeding slowly and cautiously over these years. I started creating dolls as a hobby, to feed my soul mostly, and slowly but surely I came to appreciate the path I was leaving behind until one fine day I accepted I was truly a doll maker and a storyteller. Creating dolls brought with it the need to learn so much, I was so naive and ignorant. Using a sewing machine, embroidery, crochet, knitting, drafting patterns for clothes, dolls and toys; finishing seams, colour theory, the list is endless; but most importantly two things happened by the hand of all the knowledge and skills I started accumulating: I begun to see my world through the lens of a camera and I started to communicate with the world through my stories, through my journey. This brought such a wealth of resourceful people my way, people that I now call friends. Friendships made over photos of our dolls, over our trials in doll making, over a simple purchase of a toy that has led to constant communication over the years. I have seen my skills grow but also friendships and the children of those friends along mine. It has rooted my life even more, it has given it so much purpose and it has allowed me to believe in myself. After a few years and tumbles down the road and then settled now in Ontario, my husband who has always been a well of creative energy, started fiddling with woodworking. One thing led to another, mostly me asking him constantly to make something for one of my little dolls, that he finally accepted the challenge of creating toys for Fig and me. I call them toys, because they are meant to be played with, but in reality these wooden creations are so much more. He has such a unique style and a passion for perfectionism that makes his work a beautiful thing to behold. Parting with such items is only made possible by knowing what they will bring to somebody else. It is a pretty thing to share what you make even though sometimes you just want to keep it forever. Years went by and we lived a magical life in southern Ontario, surrounded by lakes, beautiful forests, in a beautiful acre of land where we had ducks and chickens to keep us a busy. But the heart grew fonder for adventure and so we decided to relocate to Mexico for a few years, to give my children the chance of learning to speak and read their mother's tongue, as well as for them to experience what living in that country entails: the good, the bad, the beautiful and the ugly. Without darkness, there cannot be light. We lived two years in Mexico and we now travel between both countries, while settled again in the northern shores of Lake Superior, in Ontario, Canada. Our adventures and the growth of our children seep daily into our creations. Their path through life is mirrored in the development of my dolls. I look eagerly towards the future, knowing there are many roads to explore, avenues to dwell, stories to write, places to visit, dolls to discover and people to meet. Glad to have you here with me. I firmly believe handmade items, especially those created with natural materials, carry a specific kind of life energy. They carry with them a little bit of the passion of their maker, their intent, and they can transform our lives as they inspire us to let our own creativity shine; whether that is through cooking, writing, photography or crafting, whatever the medium our soul feels more inclined to express itself, handmade items motivate us to be creative ourselves. While you may not be inspired to become a doll maker, perhaps playing with a handmade doll encourages you to learn to knit or to document your life through the lens of a camera. I feel is not only important to be creative but also to use our hands to create tangible things. Play is healing, nurturing, relaxing, cathartic. Play is a powerful thing. From experience and my own research, I strongly believe dolls and toys are tools for human development, and most importantly for children. They exercise their imagination, and make their dolls come alive, creating worlds available only to them. I happen to think that adults benefit immensely as well from playing with dolls, a safe heaven in which to feel the joy and vibrant energy of our childhood. In a world where we are bombarded daily with stressful situations and our lives seem to be on time-lapse all the time, play is healing, nurturing, relaxing and cathartic. It returns you to your centre. Thank you for visiting my virtual home. Here you can spend endless hours reading stories and seeing my doll making develop. If you would like to learn about doll making or dressmaking I have a video channel where I share some of that on a monthly basis. Try to keep in touch with me by following any of the following channels: I try to journal our daily adventures on Instagram, while I use Facebook to let everybody know when sweet dolls are available or I need to share something of importance. I am also pinning away my work and inspiring tidbits on Pinterest. If you need to contact me directly, there is a form over here or you can send me an EMAIL. A new doll, for my daughter. Snow and the Barrens: a natural fiber art doll ready to play. Online Doll Making Class: March 2019 Edition. 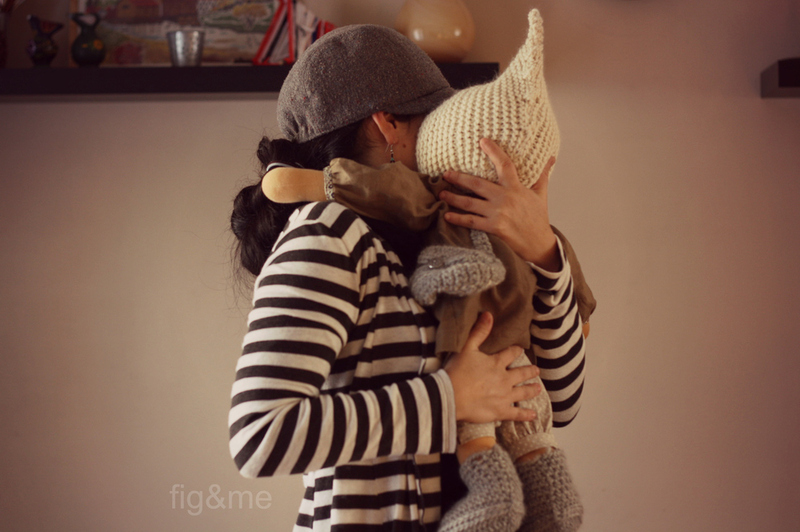 The Big Fig Doll Pattern, ready for your making hands. Explorations on Movement, Part 2. Online Doll Making Class: making a fairy doll with Fig and Me.